Smocks are great. Super flattering, they skim the figure creating a smooth and feminine silhouette. This one is a great choice, the high, pleated neckline and curved hem allows the soft and comfortable hemp mix fabric to drape the body beautifully. 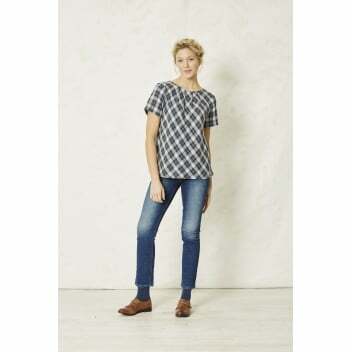 The Ingrid Check is another winning print from Braintree, timelessly elegant, it brings an air of casual sophistication to this top.